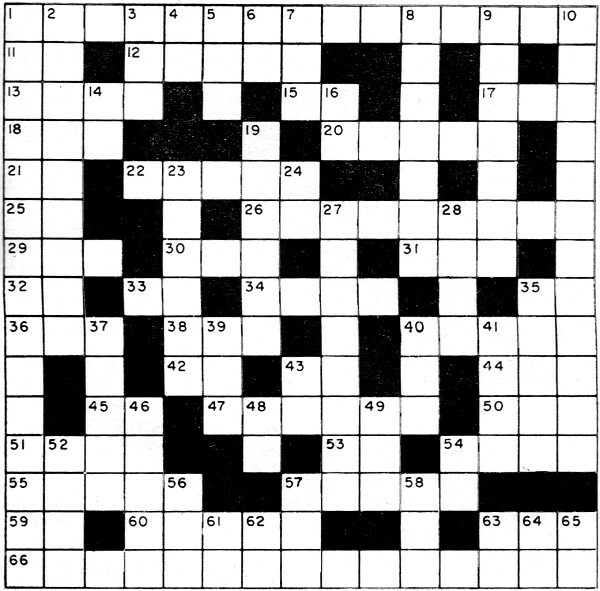 This electronics-themed crossword puzzle was published in a 1963 issue of Electronic World. Crosswords were a fairly standard feature in magazines up through the late last century. 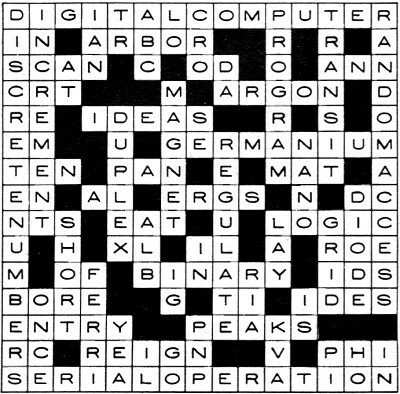 Keeping with tradition , every week (usually) I create an engineering-themed crossword puzzle that uses a hand-selected collection of a couple thousand words and clues from a dictionary I built over the last 15 years. 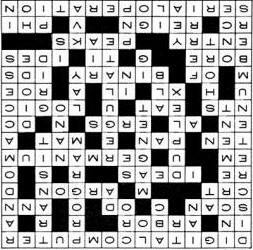 Unlike most crosswords seen in technical and hobby publications, RF Cafe crosswords contain only relevant words - never filling in with the names of movie stars, obscure countries, or portmanteaus relating to social oddities. 13. Sweep of the screen in a picture tube. 26. Metallic element used in diodes. 30. To follow a moving object with a TV camera. 33. Yankees won this pennant (abbr.). 36. This committee was responsible for setting color-TV standards. 40. Preplanning of a computer. 42. Inductive reactance on a schematic. 53. Seventh note in the scale. 54. The 15th of March. 55. Statement in computer programming system. 63. Greek letter used to designate magnetic flux. 1. They're used in computer operations. 2. Small change in the value of a variable. 4. Switching tube used in radar (abbr.). 7. 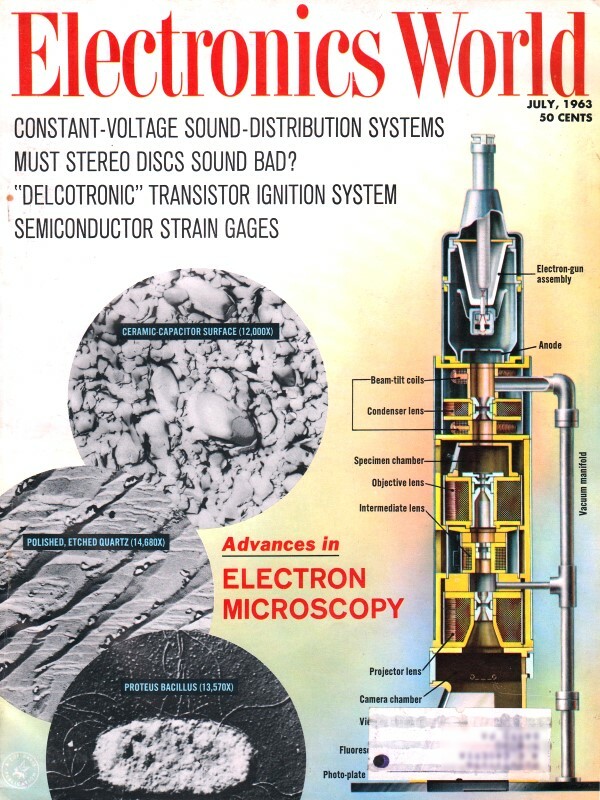 An electron-beam instrument (abbr.). 8. Information fed into a computer. 9.Time required for an electron to travel from one tube element to another. 10. Type of memory system used in computers. 19. Body which attracts iron. 23. Type of two-way radio operation. 37. Very low resistance in a circuit. 40. Complete turn in spiral-wound cable. 48. Symbol for grid current. 54. Part of "to be". 58. Unit in which power line transformers are rated (abbr.). 62. "Everything is ................. ".